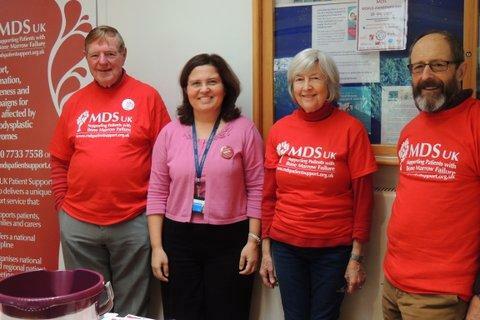 MDS UK Patient Support Group is a charity born in 2008 to raise awareness of MDS, offer support and information to patients and families and campaign to increase the quality of life and make treatments available to those affected by Myelodysplastic Syndromes. 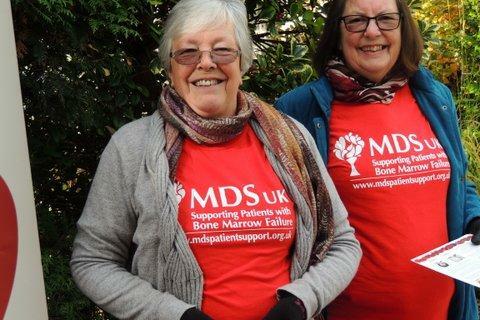 "To know that there is a support network to help my mum gives me great strength"
"Meeting other MDS patients and sharing experiences with them has made a great difference to the way in which I deal with my own MDS"
We can provide you with access to a list of UK consultants, specialising in MDS at specialist centres. You can join our national patient information meetings with specialist speakers or attend our small regional support group meetings, to meet informally and hear from local consultants and nurses. You can also request our information material and access our website, which provides the most updated information on MDS, patient stories and current research. We can put you in touch with fellow patients who may share their experience with you. You can take part in our online forum and share your experiences as an MDS patient, write or respond to other people's messages. 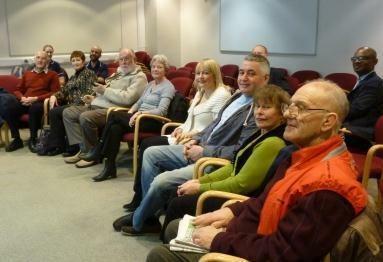 Join MDS UK Patient Support Group! It is free and open to all, so why not join us? To join please call us 020 7733 7558 or email us and give us your full address. We will post you an information pack and add you to our list of active members.